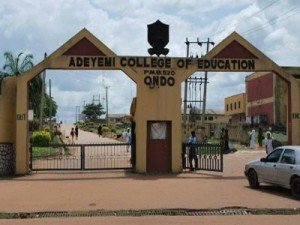 Adeyemi College of Education, Ondo State, ACEONDO screening exercise procedure for the 2018/2019 academic session newly admitted NCE and Degree students. This is to inform all newly admitted NCE and Degree students of the Adeyemi College of Education, Ondo State (ACEONDO) the final screening into the College would begin on Monday, 29th January, 2019. Adeyemi College of Education Newly Admitted Students Screening Procedure. All Fresh Students are therefore requested to follow the procedures as stated below in order to be screened. Has adeyemi releases her second admission list please? @Damilola, the list is being updated, Click Here to access your admission status. @ olamide, your course at where? @Joy, we haven’t heard any thing about that. If any admission list is released, it would be published here. @ Akinmameji Akinyemi, no information regarding the deadline yet from the institution. It’s advisable you pay it on time before screening begins.